Fill a medium saucepan with water about a 2 inches from the top. Place on the stove, turn the heat on to high, and let come to a boil. Add the farro and cook until tender but still chewy, about 10 minutes. Drain into a strainer then run under cold water to cool. Shake out excess water. 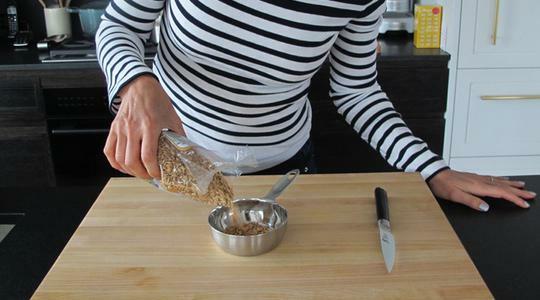 While the farro cooks, prepare your other ingredients. 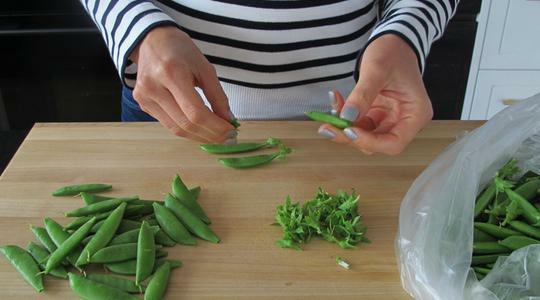 Wash the snap peas and remove the stems. 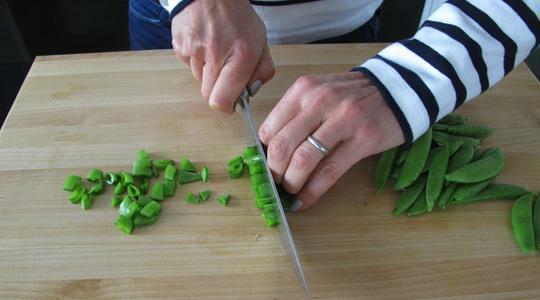 Cut them crosswise into 1/4-inch pieces and add to a medium bowl. 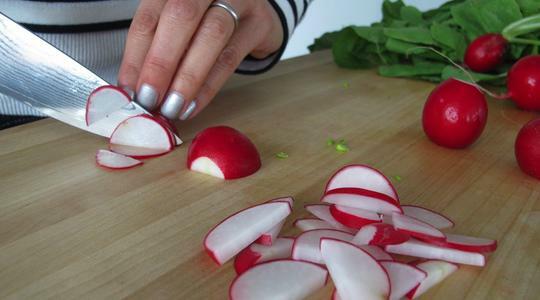 Trim the stem and root ends from the radishes; wash. Slice the radishes in half, then slice crosswise into thin half moons. Add to the bowl. 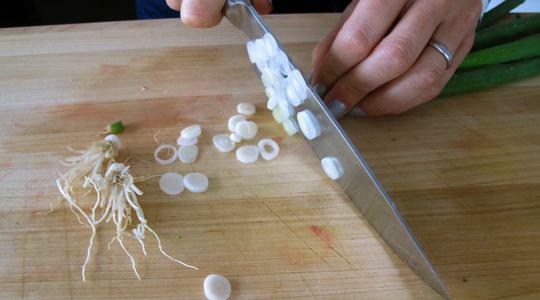 Trim the root ends from the scallions; wash. Slice the white and light green parts of the scallions into rounds. Add to the bowl. 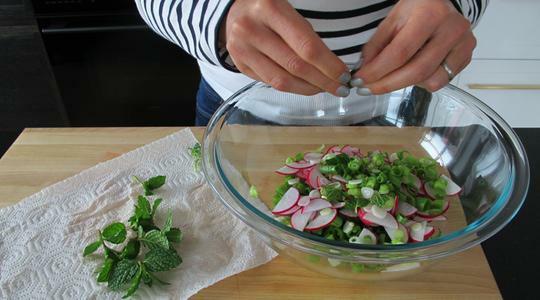 Tear the mint leaves and add to the bowl. 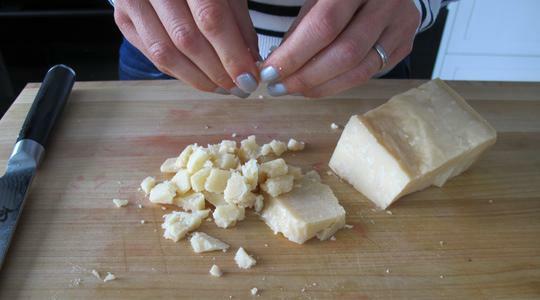 For the Parmesan, cut off a few think slices then crumble into small pieces- about 1/4 cup (you can use your fingers for this or use a knife to chop, if you prefer). 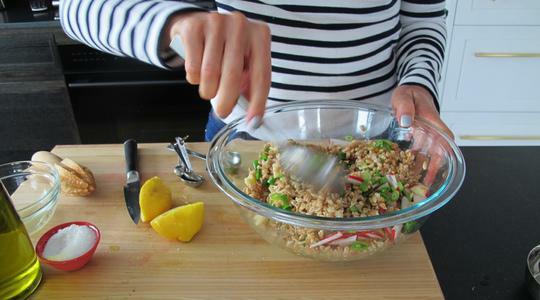 Add to the bowl along with the cooled farro. 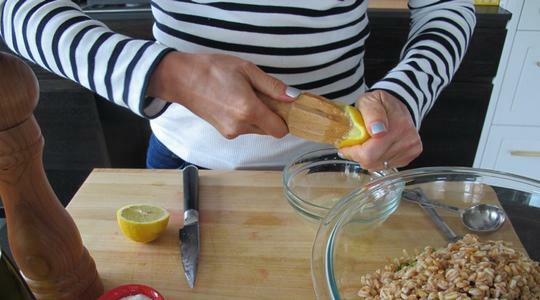 Squeeze the lemon, measure, and add to the bowl along with the oil, salt, and pepper (about 12 turns on pepper mill). Stir and serve.